The Latino culture is vibrant and complex. Differences within it are influenced by where people live, socioeconomic backgrounds, levels of education, religion, and individual lived experiences. These factors influence how people view and read their world (Gee, 1996; Vygotsky, 1986). As mentioned in the Introduction, we, the authors of this book, are Mexican Americans. Although we share a common heritage, we have different cultural backgrounds and practices that provide us with a unique perspective. Similarly, we ask you, our readers, to examine the experiences that contribute to your own worldview, which includes assumptions and perceptions about Latinos and their culture. Exploring the Latino culture should begin with an introspective approach. When you take an authentic look at yourself, you begin to understand issues of diversity and become amenable to other points of view. This chapter begins with fundamental questions to guide your understanding of self and follows with a discussion of the variations within the Latino culture. Understanding diversity is a journey that begins at a personal level. Before exploring cultural dynamics and group differences, it is important to examine your unique worldview, which includes assumptions and perceptions. To recognize your own individual differences, consider, for example, the diversity within your family. How different are you from your siblings? How different are you from your parents? How different is your family in comparison to relatives? Exploring these kinds of questions is an initial step in the ongoing effort to develop cultural awareness. Diversity exists within any cultural group. Even within the white population we see diverse ethnic subgroups (for example, people of German, Irish, or French heritage) whose members maintain and express particular valued cultural practices. These cultural expressions vary based on lived experiences related to such factors as geography, age, religion, and socioeconomic status. Therefore, we urge you to avoid making generalizations based on unexamined assumptions and perceptions that can sustain stereotypes. Overgeneralizations can result from limited or superficial assessments of observed behaviors and practices. We urge teachers of English language learners to develop self-knowledge by gaining awareness of their "social positioning"—that is, their own power and privilege in relation to others. This is a pivotal step toward gaining respect, acceptance, and equity for groups that have been marginalized by schooling practices. Understanding one's worldview and social positioning engenders curiosity, inquiry, and interest about different cultural groups. In daily instruction, cultural awareness encompasses learning how to build meaningful connections with students and their families. For instance, a teacher's willingness to explore the rearing practices of an African American family, the discipline methods of a Hmong parent, and the dietary habits of a Hindu family exemplifies purposeful cultivation of both cultural and self-awareness. Thus, interest in learning about students helps the teacher design and deliver authentic learning experiences while enhancing cultural sensitivity. Learning about diversity entails a movement from self-awareness to inquiry to action through advocacy for students who are marginalized by the educational system. In the context of this book, we define advocacy as the act of creating equitable opportunities for Latino parents of English language learners to strengthen their engagement as key stakeholders in their child's schooling. What kinds of interactions have you had with the Latino culture? Think about the context in which you have interacted with Latinos. Were these formal or informal interactions? Were these conversations or one-way communication? What did you talk about? Who did most of the talking? What were your observations during these interactions? What have you heard about the Latino culture? Often, informal conversations, including sayings and jokes, may engender and reinforce stereotypes about the Latino culture. Although these stereotypes may be unintentional and lighthearted, be aware that they are never inconsequential. What observations have you made about the Latino culture? How do your worldviews, assumptions, or perceptions about Latinos influence these observations? Consider how social factors—for example, socioeconomic status, age, gender, race/ethnicity—can influence your observations. Also, think about whether your responses are based on a single observation or any misinformation. Critical reflection through questioning is at the core of eliminating stereotypes. What messages do the media communicate about the Latino culture? Consider how the media, such as sitcoms and other TV shows, magazines, and virtual media, represent the Latino culture and how these images influence your perceptions of the Latino way of life. A discerning person recognizes that the Latino culture is heterogeneous and that media portrayals are frequently based on generalizations and stereotypes. How do your background and lived experiences influence your understanding of diverse cultures? Consider your interactions with diverse populations. Traveling to different countries, visiting local cultural centers, and interacting with individuals from diverse cultures can broaden your understanding of how individuals across the globe navigate life. These are opportunities that can enrich your school community. Moreover, students, parents, and communities represent vital resources that you can tap into to learn about the Latino culture. As you forge new pathways in your journey, we suggest that you keep these critical reflections in mind. The information you gain will nurture your ability to accept and learn about divergent ways of thinking, of interacting with schools, and of expressing what Nel Noddings (2002) has called an "ethic of care," a concept that we cover in detail in Chapter 2. Although both Spanish and English are alphabetic languages (that is, they use an alphabet to represent words, unlike a nonalphabetic language, such as Chinese), each is a distinct language system. Each has its separate cueing system, which includes phonology (sounds), semantics (word meanings), syntax (grammatical structure), and pragmatics (social and culturally appropriate use of language). Additionally, each Spanish-speaking community displays variations within each of these language cueing systems. For example, note these differences in how a Spanish-speaking person may ask a simple question such as "What do you want?" A person of Puerto Rican heritage may ask, "¿Qué tu quieres?" Someone of Mexican heritage will structure the same question differently: "¿Qué quieres?" Each person's speech production will also vary in speed, intonation, inflection (phonology), and other marked characteristics. Spanish and English have other differences in language structure. For example, English has 44 phonemes (the smallest unit of sound in a language) represented by 26 letters, but Spanish phonemes vary between 22 and 24, depending on whether the language is spoken in the U.S. Southwest, Latin America, or Spain (Pérez & Torres-Guzmán, 2002). Also, Spanish is considered a "transparent" language because it has a close letter-to-sound correspondence, which is not the case with English. These examples enable us to view language as a cultural tool and provide insight about the heterogeneity among Latino speech communities. The construction of culture occurs within family units through caretakers. Over time, children learn the language, traditions, attitudes, behaviors, and institutions associated with their culture. The intimate languages shared among caretakers and young children are known as "primary discourses," and these facilitate the learning of cultural rules and norms particular to children's speech communities (Brisk & Harrington, 2007) and how they use language and literacy (Heath, 1983). Children who grow up in a bilingual environment also understand the distinctiveness of the cultures in which they function (García, 2009). Celebrations further highlight distinctiveness among Latino cultures. Many Mexican Americans in the southwestern United States, for example, celebrate Easter by decorating cascarones, which are a variation of the plastic Easter egg common to mainstream culture. Cascarones are colorfully decorated eggshells filled with confetti. On Easter Sunday, the fragile cascarones are hidden, and an egg hunt ensues. After collecting the cascarones, children crack them over their loved ones' heads in a celebratory gesture. This cultural expression may not be practiced in other Latino communities, which may celebrate Easter by attending church services or sharing a meal with family members; and some may not observe Easter at all. Food is another expression of distinctiveness. Fried plantains, for example, are generally found in Cuban and Puerto Rican American cuisine but are not common among other Latinos. Teachers can use these distinct features within Latino communities as vehicles for learning more about the cultures of students in the classroom. For example, when studying about indigenous civilizations, a 3rd grade teacher encouraged her students' families to share edible products that they—like the Aztecs and the Mayans—made from corn. Students learned about Colombian arepas, Salvadoran pupusas, and Mexican gorditas and discussed similarities and differences among these dishes from Latin American countries and their ancient civilizations. Communicate effectively with parents once you find out how parents and children self-identify. Begin instruction by integrating students' prior knowledge gained at home and at school. Access background information from parents regarding their children's interests, aspirations, strengths, and weaknesses to design instruction that scaffolds their current knowledge. Choose teaching strategies that complement the styles and preferences for learning that individual students make apparent. Facilitate an understanding among your students about how diversity begins at home and occurs among family members. Validate all students' heritage. This can be done by providing learning opportunities that enable all students to learn about many cultures. Intentional planning of multicultural content is an additive approach that includes everyone as a learner, and deep learning experiences enable students to explore how diversity sustains democratic principles. In sum, the more you know about each student, the more insight you gain not only about the Latino cultures represented in your classroom but also about the range of student abilities, knowledge, interests, and areas where growth is needed. All serve to inform your instruction and to build relationships with parents. With academic success as the communicated shared goal, parents will likely be motivated to support the learning goals and objectives that you establish. An example of how strengthening home-to-school connections can improve instruction comes from the experience of a 3rd grade teacher, Mrs. Williams, who took a proactive step by making a home visit to learn more about one of her students, Mario. Although she had been providing Mario with ample direct, explicit instruction to support his work in math, he was not making significant progress. When she visited her student's home, Mrs. Williams observed how Mario learned vicariously and through modeling. She noticed that when Mario and his dad were working on the family car, his father used one-word commands and wordless gestures. Drawing inferences from implicit information, Mario intuitively understood his father's intents. Mrs. Williams discovered from speaking to Mario's mother that he did not have previous experience working on cars; however, Mrs. Williams had observed how he performed successfully as an apprentice to his father. In this scenario, the teacher gained deep insight about her student, including different approaches to solving problems, multimodal uses of communication, and how family values influenced teaching and learning preferences. Other ways to learn about individual students' cultural background include using students as resources, creating project-based assignments, conducting focus group meetings with parents, spending time in the community, reading about Latino culture, and using Spanish-language media. We briefly discuss these approaches here because all are essential components in any consideration of ways to familiarize yourself with the Latino culture. We also discuss them in greater detail in subsequent chapters to guide systematic implementation. Latino students can be a direct source of information that enriches your understanding of the Latino culture. For example, to prepare students to write about one of their cultural celebrations, you could invite older students to discuss and answer questions about such events. Students can share information about particular cultural values and beliefs by telling stories, explaining rites of passage, and describing ceremonies associated with celebrations. For example, a Mexican American quinceañera is a celebration, similar to a debutante ball, that inducts a young girl into society, marking a transition into womanhood on her 15th birthday. Some of the Latino students in your classroom may be familiar with this cultural event and will draw connections between their lived experiences when completing their writing assignment. In one Texas school, 4th grade students were working on writing descriptive essays about a family event. Esmeralda decided to write about her sister's quinceañera. The teacher understood the value of using students' experiences as resources and invited Esmeralda's sister to speak to the class. The sister shared highlights of the festivities and answered questions about this important family event. By taking this approach, the teacher gained personal insight about this celebration and created an opportunity for her students to write about a culturally relevant topic, which sparked their interest and engaged them as writers. Another approach might entail establishing casual and ongoing dialogues with upper-grade students during recess, in the hallways, or during club meetings. Mrs. Ruiz was talking to students on the playground one day when Guillermo mentioned that he bought a kite at the pulga (flea market) over the weekend. As he excitedly described his prized acquisition, Mrs. Ruiz asked him to tell her more, which enhanced this particular student's communicative abilities. This informal conversation also boosted Guillermo's self-esteem and motivated him to converse more frequently. After surveying the students who had been to the pulga, Mrs. Ruiz created instructional connections in math by guiding students to create various graphs using the survey results. She also helped them brainstorm ideas about items they had acquired at the pulga or visits they had made there with their families to guide their writing about the topic during language arts instruction. Project-based assignments that involve students in conducting research about their own heritage can become effective ways to show that you value cultural diversity within the school setting. Obviously it is important to always proceed with empathy and sensitivity. Some families may be unwilling to participate, especially if they are undocumented immigrants, have sought political asylum, or are war refugees. If it is feasible to proceed, however, children will engage and develop important academic skills as they conduct research and interview their parents, grandparents, and other community members. As a schoolwide effort, students can share completed projects through cultural fairs, panel presentations, performances, participation in focus group discussions, cuisine parties, fashion shows, dances, and games. Student projects can also involve researching famous Latinos. By conducting web quests or web searches on the Internet to retrieve information on well-known figures, students engage in learning opportunities that value the many positive contributions of Latinos. The possibilities are numerous, and the following list is by no means all-inclusive: actors Rita Moreno, Anthony Quinn, Ricardo Montalbán, Ricardo Antonio Chavira, and Hector Elizondo; writers Sandra Cisneros, Alberto Baltazar Urista Heredia, and Reinaldo Arenas; social activitists César Chávez, Dolores Huerta, Judy Baca, and Martin Espada; musicians Jerry and Andy Gonzalez, Juan Luis Guerra, and Lalo Guerrero; politicians Henry B. Gonzales, Bill Richardson, and Henry Cisneros; artists David Diaz, Laura Aguilar, and Carlos Almaraz; Nobel Prize winners Mario Molina and Severo Ochoa; astronauts Ellen Ochoa and Franklin R. Chang-Diaz; dancer Fernando Bujones; athletes Henry Cejudo, Rebecca Lobo, Roberto Clemente, Nancy Lopez, and Lee Trevino; and playwright María Irene Fornés. Other possibilities include regional and local leaders who may be familiar to students. Start each meeting with clearly stated purposes and goals. Here are some possible opening statements: "This meeting is about getting to know each other." "This is a time to learn how each of us can help your child succeed in school." "I hope to learn and also share ideas about how to support your children and their studies." "I know that parents are a child's first teachers." Ask questions that will provide you the most benefit—for example, questions about customs generally associated with Latino cultures. Questions about matters such as immigration status, politics, or sexuality are inappropriate; not only are these sensitive topics that have no immediate bearing on your instruction, but they also will immediately embarrass parents and perhaps turn them away from schools for good. You could start off with "Would you mind if I asked you some questions about your culture?" and lead to "What do you want people to know about your culture?" Invite a community leader. Ask the parents or the children to identify a person in the community whom they hold in high regard. Consider asking church leaders, a city council representative, a member of the Hispanic Chamber of Commerce, directors of cultural centers, or representatives of other such community entities. Most leaders would embrace the opportunity to share their perspectives. Because communication is fundamental to conducting a successful focus group meeting, it is important to have a translator/interpreter on hand at all times. Reproducible A.1 in Appendix A provides helpful Spanish words to use when communicating with parents who do not understand a vocabulary word commonly associated with school. Additionally, you can make copies of the reproducible for parents as a handy reference for terms associated with instruction, classrooms, and schools. A good way to better understand the social and cultural background of your students is to explore their community. A first step might involve reflecting upon the items outlined in Figure 1.1, which can guide your exploration of the particular background and lived experiences of the Latino families in the community. More important, this reflective process can begin to challenge any existing preconceptions as you identify the diversity among Latinos. The next step is to drive around the Latino community to locate shopping areas, entertainment venues, churches, and social service agencies and institutions. You can also learn about the community by shopping at local grocery stores. For example, south-central Texas has two grocery chains that cater to Latinos—La Michoacana and Fiesta. Many grocery stores sell Spanish-language newspapers, magazines, and other publications (for example, La Prensa and El Mundo) that convey community perspectives regarding politics, social affairs, and pop culture. Many Latino families also shop at flea markets or swap meets, where they can barter or negotiate for reduced prices for items including fruits and vegetables, new clothing, home fixtures, and home repair materials, as well as decorative goods and sundries from their country of origin. 1. Describe the location of the school (within the state, city, neighborhood; urban or rural area). 2. What are some of the benefits and challenges associated with your school's location? 3. Use this table as a guide to learn about the Latino families in your school community. Find out whether the Latino families live in isolation (separate from one another) or in an area that is predominately Latino. Because geographical/regional factors may influence language use or accessibility of resources within the community. Find out whether the Latino children share a home with their parents, grandparents, aunts, uncles, and other caretakers. Because some Latino families are composed of nuclear and extended family members who can play an important role in the child's schooling. Find out how the Latino parents identify themselves (e.g., Latino, Mexican, Mexican American, Chicano, Hispanic, and so on). Because Latinos identify themselves in many ways. Find out the family's socioeconomic status (SES) (e.g., free, reduced-, or full-price lunch). Because SES is a component of diversity that suggests levels of opportunities and choices in a child's social and academic life. Find out the level of educational attainment of each parent. Because many Latino parents have completed high school and beyond, they are literate and can support your instruction (for example, by reading to the class). 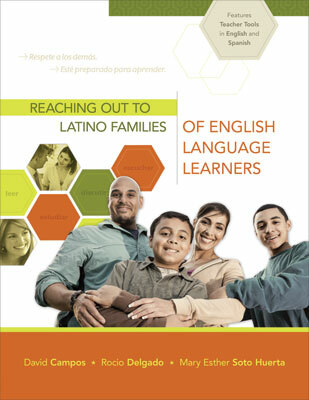 Find out how the Latino parents communicate about education to their children. Because all parents want their children to experience educational success, parents can share best approaches for teaching their child. Businesses within the community can be potential sites for field trips. Bakeries (panaderías) and ice cream shops (paleterías or neverías) may offer students and teachers unique learning experiences. For example, you could use a trip to the panadería (bakery) to provide background for teaching the children vocabulary (for example, words such as "oven," "ingredients"); reading about pastries from all over the world; teaching a math lesson about measurement, quantity, and time; and teaching a science lesson recording changes in size, mass, and color that result from baking at a certain temperature. Community celebrations, which are often held in city parks or other public facilities, can be integrated with social studies instruction. Check local events calendars to find out information. Some ethnic-based festivities include Cinco de Mayo (May 5), Puerto Rico's Constitution Day (July 25), Cuba's birth as an independent republic (May 20), and Día de los Muertos (November 1 and 2). Visiting community church services offers the opportunity to learn about community creeds, values, and ideologies. Also consider having lunch or dinner with a student's family at a local restaurant. Sharing a meal is another opportunity to learn about the family's history and culture by way of observation and genuine conversation. This type of interaction can lessen anxiety as parents begin to see you outside of school. If parents perceive you as an ally and advocate for their child, this perception could spark their interest in getting involved at school. Well-planned home visits are also valuable. Students may not make a banner and openly declare their appreciation for your home visits, but most likely they and their parents will interpret your willingness to reach out as a positive act. The Internet offers another way to familiarize yourself with the Latino culture. This tool allows you to locate cultural centers, museums, public libraries, churches, private schools, factories, and other entities within the community. Most cities have their own website and web-based versions of newspapers listing weekly entertainment and cultural activities. Chicago, for instance, has a webpage with buttons linked to "Things to See and Do" and "Neighborhoods." One link will even retrieve information on the colorful murals located in the predominantly Latino neighborhoods. Even smaller cities have websites with links to calendars of events. And don't overlook other, more general websites devoted to the Latino culture, which can further your understanding and provide information that you can work into daily instruction (see Appendix B). Your engagement in the community, along with the relationships you establish, can enable you to deliver culturally responsive instruction as you connect school learning to children's lives outside of school. All of these suggestions for exploring the community are intended to offer ideas and artifacts that can make lessons more informative, relevant, and meaningful to students. In addition, if parents witness your respectful efforts to participate in their community, they are more likely to reciprocate by viewing their involvement in the school in positive ways. Chapter 7 has more information on making connections with the community and forging partnerships. Books can be an important source of information about Latino culture, history, and peoples. Culturally authentic books—both fiction and nonfiction—are worth reading and sharing with all your students. A critical attribute of "authentic" children's literature is the inclusion of themes and characters that accurately represent the culture. This means that narratives contain content that represents the culture and characters in authentic ways, have rich plots, and use language accurately. Authentic literature about Latinos avoids stereotypical themes and characters and generic plots and settings. Look for lists of books that have won the Américas Award for Children's and Young Adult Literature, the Pura Belpré Award, and the Tomás Rivera Children's Book Award. Appendix C lists a number of books that are worth reading for background information or as sources of literary works. Even though you may not know Spanish, consider tuning in to Univision to watch the news or other programming. Often individuals learning Spanish watch soap operas to learn Spanish words and phrases. More important, watching Spanish-language programs may help you bond with your students (and their parents), especially when you mention some of the shows they watch. Imagine how thrilled your students will be when you rely on their expertise to answer the question that you pose: "Last night I watched the noticias on channel 41 and the newscaster used the word _____. What does that mean?" You could make a game of it and mention to them that you are planning to watch a particular show and will try to closely follow the unfolding of events but will need their help to fully understand the characters, the plot, and so forth. Then, have students explain all the nuances that made little sense to you. Also, consider watching Spanish-language movies with English subtitles. Many of the popular movies (for example, Como Agua Para Chocolate, Bajo la Misma Luna, Conejo en la Luna, Al Otro Lado, Diarios de Motocicleta, Un Día sin Mexicanos, Buscando a Leti, El Cometa, Gringuito, Casi Casi, Women on the Verge of a Nervous Breakdown, El Norte, Maria Full of Grace, The Other Conquest) are available on DVD. These films will increase your awareness of cultural distinctiveness. When the content is appropriate, you can use Spanish-language media as conversation starters with your students or their parents. Spanish radio and music could be used in similar fashion. Consider listening to regional music and learning the lyrics of songs by pop artists such as Mark Anthony, Jennifer Lopez, Enrique Iglesias, and Gloria Estefan. You can casually mention that you learned a Spanish song but need students' expertise in helping you understand the content, particular lyrics, and the images they convey. All of these activities have the same goal: to learn more about your students and your school community. This is an important first step toward gaining the understanding you need to reach out to Latino parents and encourage their participation in their children's education. Read historical references to learn about the sociocultural variations of Latino cultures. Read professional articles associated with second-language acquisition and learning. Ask those who have learned a second language to share their experiences. Visit informally with parents to learn how the native language is used at home and in the community. Learn key vocabulary to facilitate casual communication with parents. Learn about the cultural activities and holidays that your students' families celebrate. Identify community outlets, sites, and institutions that your students' families frequent. Locate community centers and attend cultural events (for example, concerts and theater performances) that focus on the Latino culture.